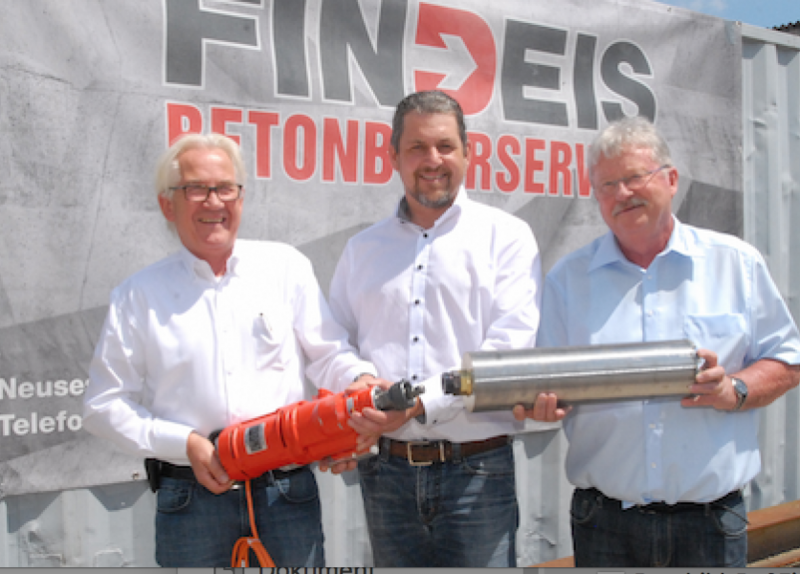 Michael Findeis, chief executive of Betonbohrservice Findeis GmbH, is now the proud owner of the world’s first drill motor with the innovative tool free PQ6 drill bit connection. Along with Thomas Springer, president of the Fachverband Betonbohren und-sägen Deutschland (Concrete Drilling and Sawing Association Germany), he received the machine together with a set of new core bits of the same system from Dr Reiner Schulze in mid-July. As the manufacturer’s representative on the board of the association, and member of the VDMA (German Engineering Federation), Dr Schulze had a major influence on the development of the PQ6. 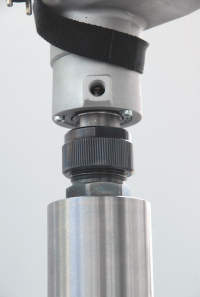 In the process of introducing the new system to the market, Dr Schulze also took into account the views and requirements of manufacturers and users before putting the first edition of the drill bit connection into production. “Availability among the individual manufacturers still varies a little at present. To my knowledge, three manufacturers are currently able to deliver immediately. I assume that more will follow soon,” said Dr Schulze. “The manufacturers are now also called upon to ensure a successful market launch,” states Thomas Springer. “They can signal the system’s readiness to deliver to their customers and actively approach the users. The association is also promoting tool free drill bit connections to its members. The first machines and core bits were presented at the annual general meeting in Hamm. The system will also be presented to users at the regional meetings in the autumn.” And in order to make his own contribution to the introduction of the PQ6, Thomas Springer ordered equipment with two drill motors and a drill bit set from Dr Schulze on the same day.